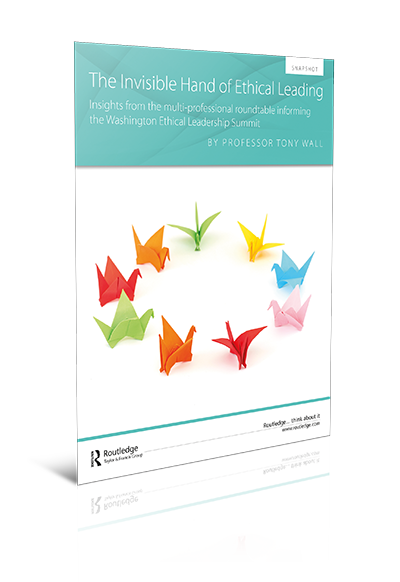 This Snapshot, Insight into Leading Beyond the Ego, is the outcome from a workshop event organised by the Washington Ethical Leadership Summit. The snapshot explores the concept of Transpersonal Leadership and how we can develop to become leaders who look beyond the ego. Leading in the context of a volatile, uncertain, complex, and ambiguous landscape is a challenging feat - leaders may find it hard to know where the corner is, never mind what is around it. 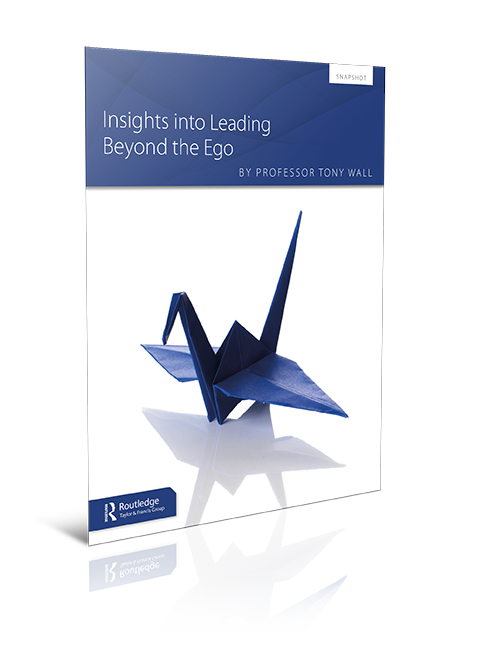 This Snapshot aims to examine the importance of leading beyond the ego and how we might begin the transpersonal leadership journey. Exploring how we can recognise the ego, how we can be tricked by, connect, and develop with our ego, this snapshot will offer key insights from the leadership workshop. Professor Tony Wall is Founder and Director of the International Centre for Thriving at Work at the University of Chester in the UK, institutional lead for the global Inter-University Sustainable Development Research Programme, and a National Teaching Fellow of the Higher Education Academy. He has won multiple Santander International Research Excellence Awards and Erasmus+ grants to collaborate in projects across the globe. As a co-founder of the Washington Ethical Leadership Summit, he works with a vast range of practitioners, crossing the fields of computer science, stem cell research, and economics, to generate dialogue around the ethics and sustainability. So what is Transpersonal Leadership? The concept was first published in a report on tomorrow’s leadership, based on a leadership development journey developed by LeaderShape (Knights, 2011). The word “transpersonal” was inspired by the use of the word in “transpersonal psychology” (Bynum, 2010). “Transpersonal” is defined as “extending or going beyond the personal or individual, beyond the usual limits of ego and personality”. radical, ethical, and authentic while emotionally intelligent and caring. LeaderShape Global is a UK headquartered organisation with a global culture that operates without borders. It exists to develop people around the world who can lead beyond their ego to be radical, ethical and authentic, ie. Transpersonal Leaders.